Developed by Australian property giant Walker Corporation and conceived by Johnson Pilton Walker Architects, the $2 billion Parramatta Square redevelopment is one of the largest urban renewal projects in the country. Parramatta’s commercial precinct consists of twin commercial towers complemented by tenant suites, conference facilities, childcare, auditorium, and a commercial catering kitchen. Walker Corporation will deliver the urban renewal in stages 4, 6 and 8. 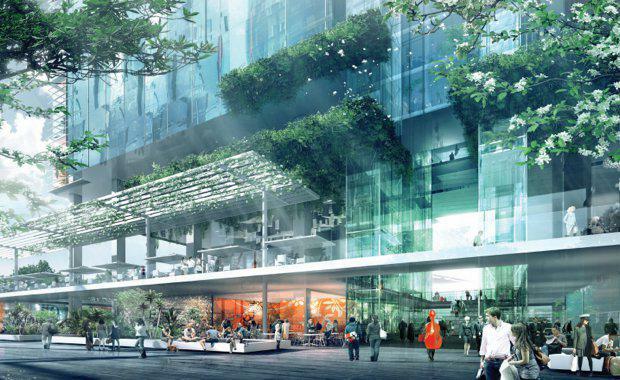 Stages 4 and 6 include dual mixed-use commercial towers, and offer 110,000 square metre of A-Grade premium office space to meet the needs of a range of tenants. 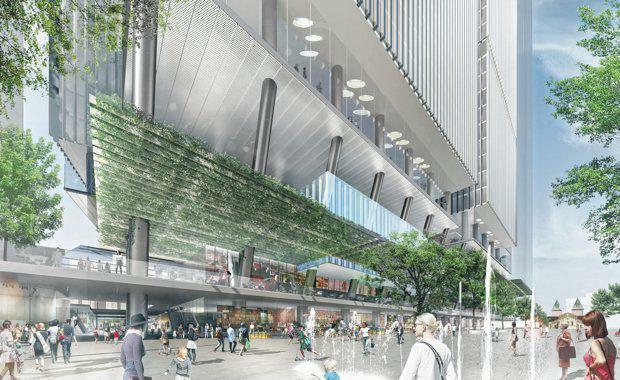 The ground floor podium will feature more than 3,000 square metres of retail space over two levels, with the lower ground level providing a crucial underground link to the Parramatta railway station. 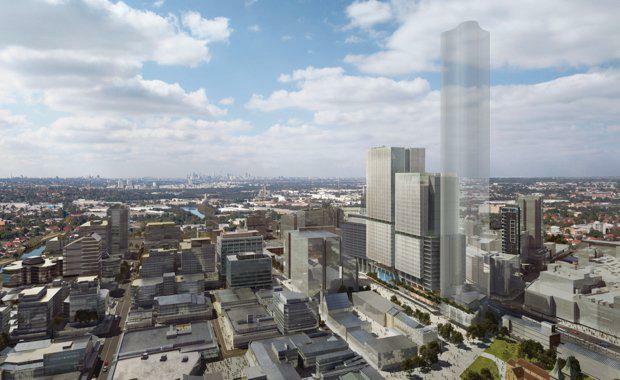 Late last month the City of Parramatta Council “agreed to explore” changing the predominant use of the site at 8 Parramatta Square from residential to commercial, subject to approval. Under the new scheme, Walker Corporation would be given the option to switch the use of the site to an A-grade office block. “We commend the council for its forward thinking in terms of the sensible development of this important city precinct and believe that Parramatta Square will be the centrepiece for Sydney’s second CBD over the next five years,” Lang Walker said. The NSW State Government announced it will lease 62,000 square metres of A-Grade office space to accommodate the urban renewals 4,000 public service roles including the Department of Planning and Environment, Office of Environment and Heritage, Environment Protection Authority and Department of Finance, Services and Innovation. "Demand for premium office space in Parramatta is undeniable with current vacancy rates at a record low of 1%," Walker Corporation Chairman Lang Walker said. “Parramatta Square will become an iconic Sydney destination and as such has to be at the forefront of design and sustainability, while providing a superior service offering. Ideally located for blue chip companies in search of industry leading commercial space, the towers are an integral part of the wider development and will significantly contribute to its success,” Walker said. A staged approach will be taken to construction with the towers consecutively released in 2019 and 2020. Built to a minimum 5 Green Star rating in accordance with the standards for environmentally sustainable development, set by the Green Building Council Australia, the commercial Parramatta urban renewal towers are expected to provide best practice benchmarks for sustainability. JPW’s design for Parramatta Square 4 & 6 was selected from more than 70 entries from around Australia and internationally, through a two stage Design Excellence competition design process run by Parramatta City Council in 2013. “The scheme presents twin towers which complement but do not compete with landmark ‘Aspire’ tower design,” the architects said. “It features a 21st century flexible workspace in the heart of Parramatta, connected by public spaces, social facilities and places for workplace interaction. The workplace design is the most flexible and the most innovative when it comes to the potential to combine floors or separate floors relative to the twin tower format. 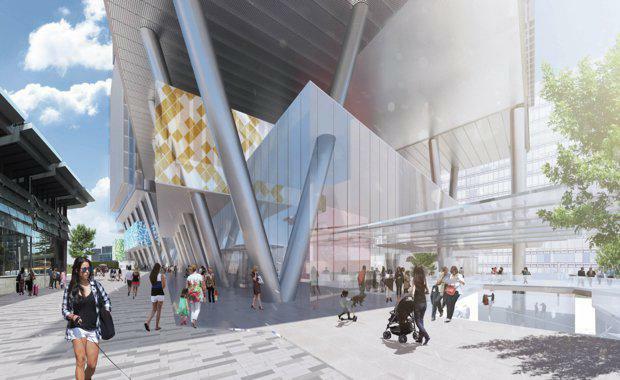 “The scheme elegantly responds to the ground place with a highly legible, naturally lit connection between the rail station concourse and the future Parramatta Square, with multiple opportunities for retail activation on two levels. 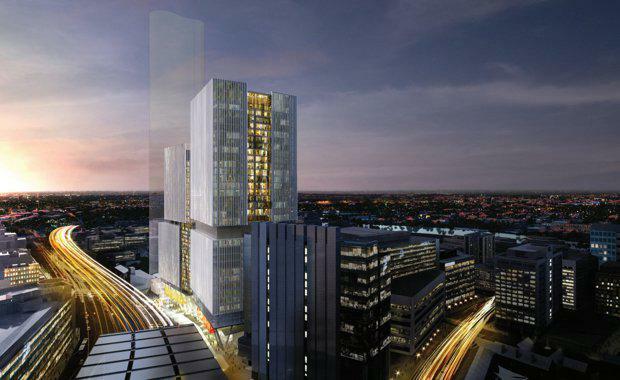 "The scheme proposes a strong edge to Parramatta Square at RL. 14.50, defining the southern edge of the Square with a strong lower level integration with Aspire and a good connection to the Sydney Water building podium. It resolves the complex level differences between Station, Darcy Street and Parramatta Square, maximising active retail frontages and a fine grained network of lanes and arcades. In addition, the articulation of the towers responds to the surrounding buildings with the majority of tower articulation on the east and west sides of the towers creating animated oblique views along the square." Located in the western region of Sydney on the Cumberland Plain, the wider precinct will feature the 26,000 square metre University of Western Sydney Campus housing for more than 10,000 university students, as well as community facilities, a civic building, community centre, library and a 250 metre long thriving public domain in the heart of the city – critical to the activation of the project. The project will see Parramatta City rival Sydney’s CBD, with a total of $8 billion to be invested city wide in buildings and infrastructure over the next four years.The entire urban renewal precinct will be built to a minimum 5 Green Star Rating and NABERS Energy Rating in accordance with the standards for environmentally sustainable development, set by the Green Building Council of Australia.